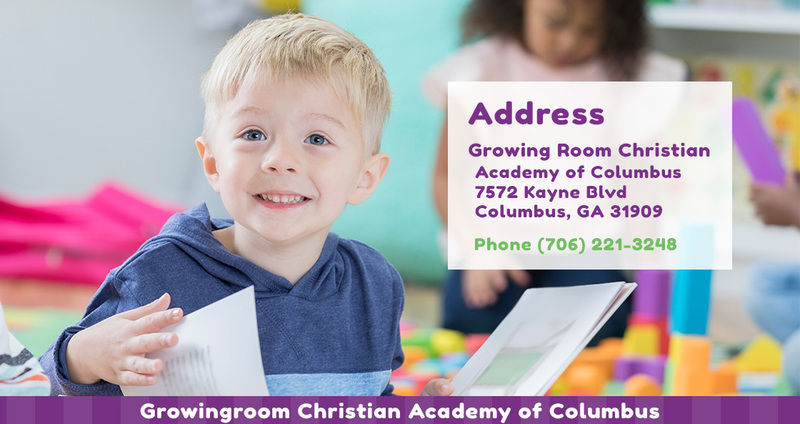 If you are interested in learning more about Growing Room Child Development Centers and all we have to offer please fill out the Enrollment Inquiry here or please stop by and visit any of our centers. You can pre-enroll by clicking here and filling out the form. This will make your enrollment process quick and easy when you come in to enroll. You can access your childcare account here. Find the school nearest you and use the contact information for enrollment. If the child is Category One: a copy of the proper documentation. Category One child eligibility is defined as the child’s and/or family’s participation in one of the following: Supplemental Nutrition Assistance Program (SNAP), SSI (Supplemental Security Income), Medicaid, Temporary Assistance to Needy Families (TANF), or Child and Parent Services (CAPS) program. Visit the school unannounced for a tour. Mornings are best as that’s when children should be engaged in active learning. Visit your child’s new class and meet the teachers. Are they warm and loving with the children? Are the teachers speaking to the children in a positive, respectful manner? Do the teachers create a happy environment for the children? Are the teachers providing adequate supervision? If you are looking for infant care, ask if your child will have a consistent, primary caregiver. Are the classrooms and school clean and safe? Are there strict health and safety policies for diapering and hand washing? Review the early childhood curriculum. Is it appropriate for your child? Does it promote the child’s self-esteem? Will it prepare your child for Kindergarten? Review parent communication procedures. Will you receive a daily note from the teacher telling you about the day (eating and sleeping included)? How are your informed about upcoming events? Does the school offer periodic parent-teacher conferences? Are the classroom child-to-staff ratios within or lower than the state-approved guidelines? Does the school have security screening at the front entrance, as well as, video monitoring throughout the building and playground? Ask to see a menu. Does the menu offer healthy, nutritious meals and snacks? Are parents permitted access at all times? Does the school promote parent participation within the program? How? After you’ve visited the school, speak with parents of children currently enrolled at the school. Ask them about their experiences, both positive and negative. We wish you the best in making the right choice in your child’s earliest educational experiences and hope it includes Growing Room!